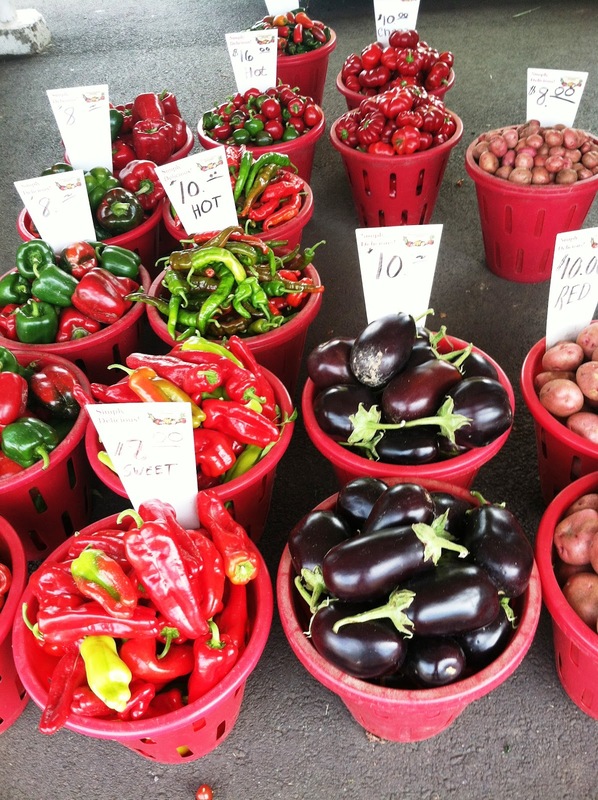 Incredibly, I have never been to the Scranton Farmers’ Market until this week. Holy crow, have I been missing out. 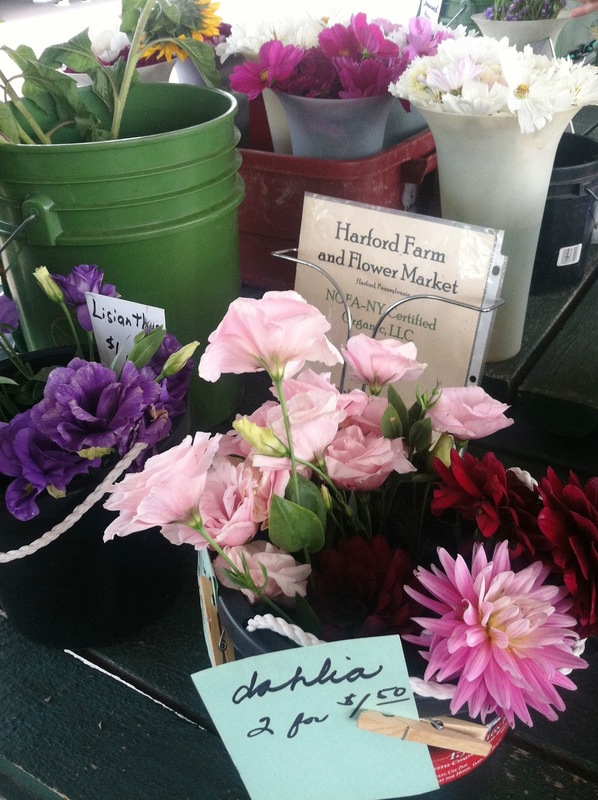 Gorgeous produce, cheeses, meats,even flowers (! 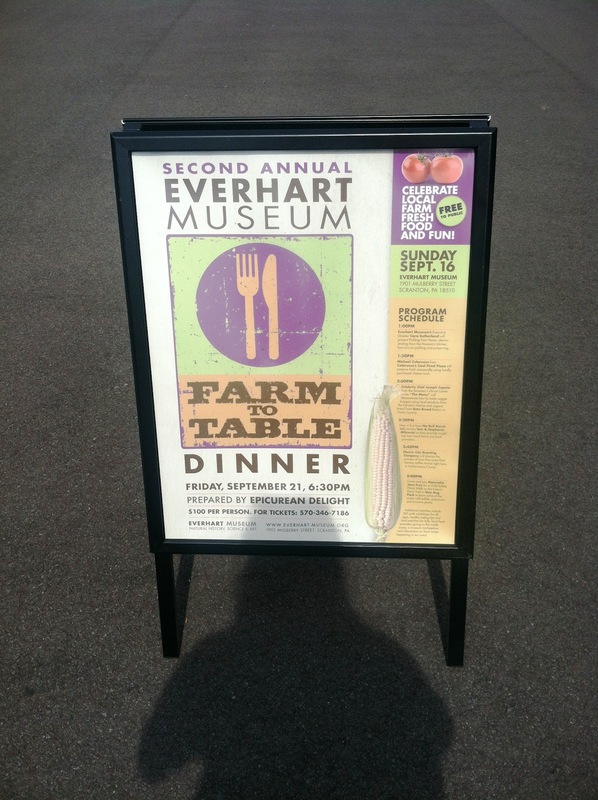 ), all from local farms and farmers. There’s really nothing better, food-wise, than farmers’ markets – supporting your community while being able to find out about what you’re eating and where it came from. 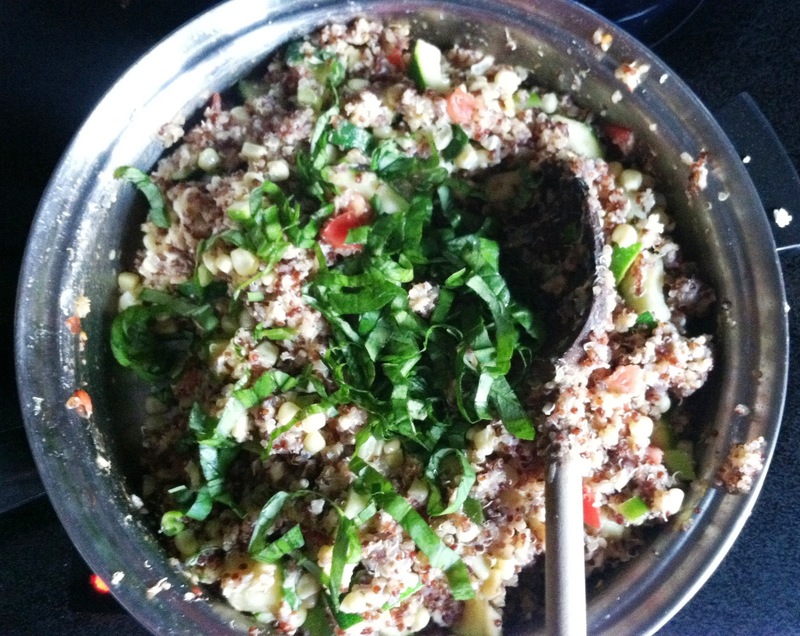 I picked up some corn, zucchini, tomatoes, onions, and basil, and decided to use a mix of red and white quinoa as a base for this salad. We ate it that day, then took it to Frontier Days, where it was delicious even cold. 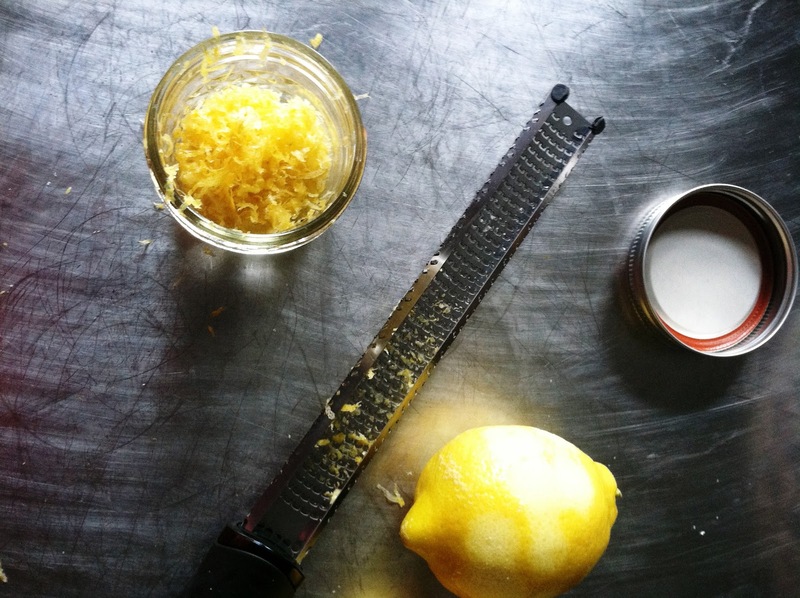 The honey-lemon vinaigrette seems odd in theory, but adds a dimension of sweetness that adds to the overall flavors – a feta creaminess, a basil crispness, etc. This is a great end-of-summer dish to use up whatever vegetables you find at the farmers’ market (or, okay, the supermarket). 1. 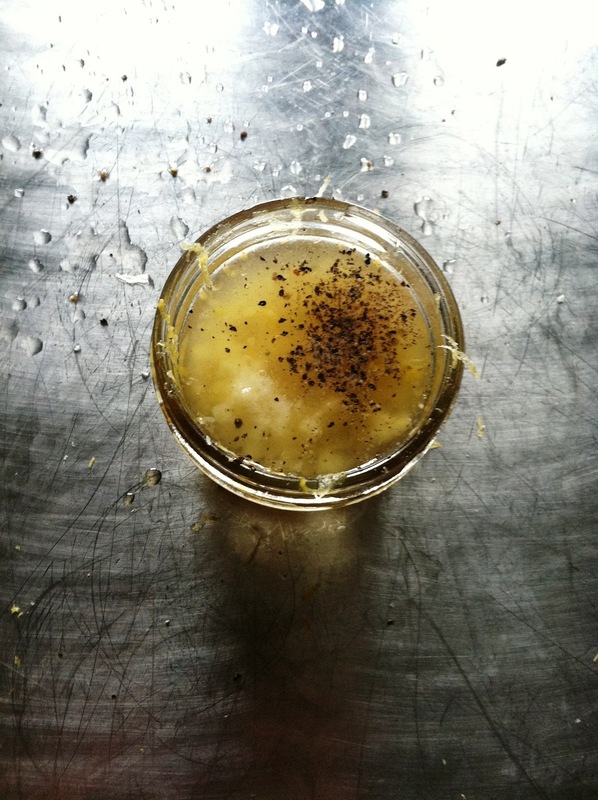 Make the dressing – combine all the ingredients in a small mason jar, adding the honey last so the spices can absorb into the lemon juice. Shake it up and let it sit while you make the rest of the dish. 2. In a saucepan, bring 2 cups chicken broth (or vegetable broth, if you want to make this completely vegetarian) to a boil. Rinse the quinoa really well – this is important, since the “dust” that collects on the outside of the quinoa is bitter and will ruin any dish you make if any of it remains. I have a really fine-woven strainer that I bought specifically for rinsing quinoa – otherwise it’s a total PITA trying to get the “dust” off it thoroughly. Add quinoa to the boiling chicken broth, turn the heat down to medium low, and put a lid on it. 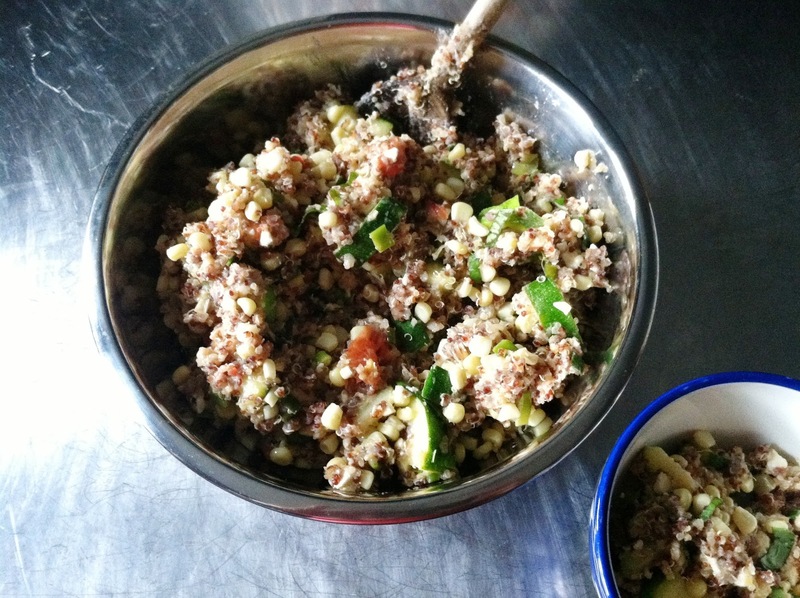 Let cook until the broth is absorbed and the quinoa is soft and fluffy. 3. In a different saucepan, cook garlic in 1 tablespoon EVOO over medium high heat until fragrant, about 30 seconds. 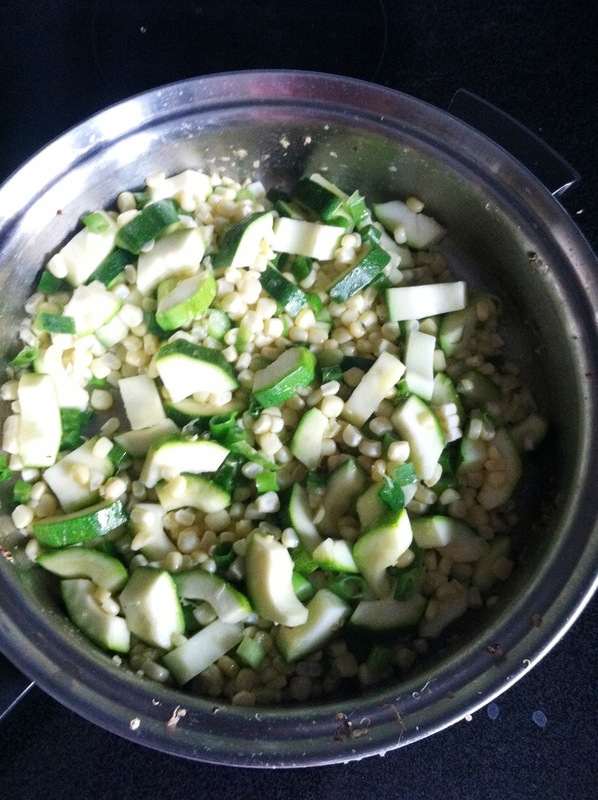 Add the corn, zucchini, and onions, and a little salt/pepper. Let cook about 5 minutes, then remove from the heat. 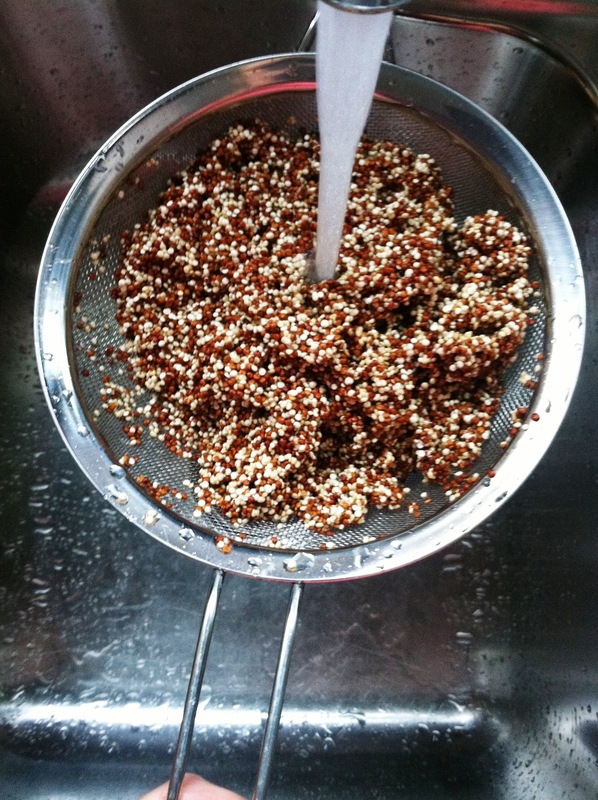 Add the cooked quinoa and give it all a good stir. 4. 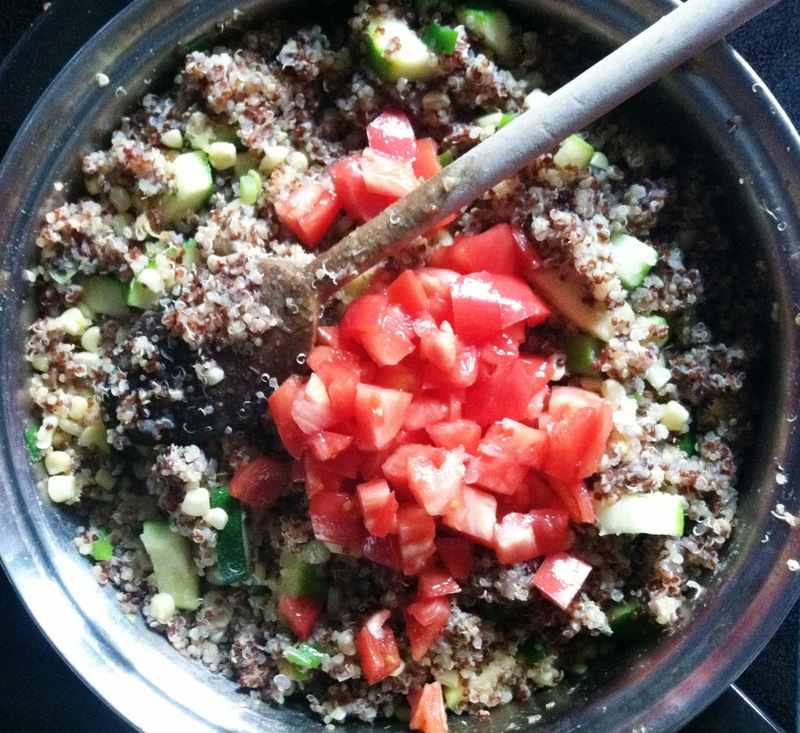 Chop up 2 tomatoes, and add to the quinoa/veggie mixture. 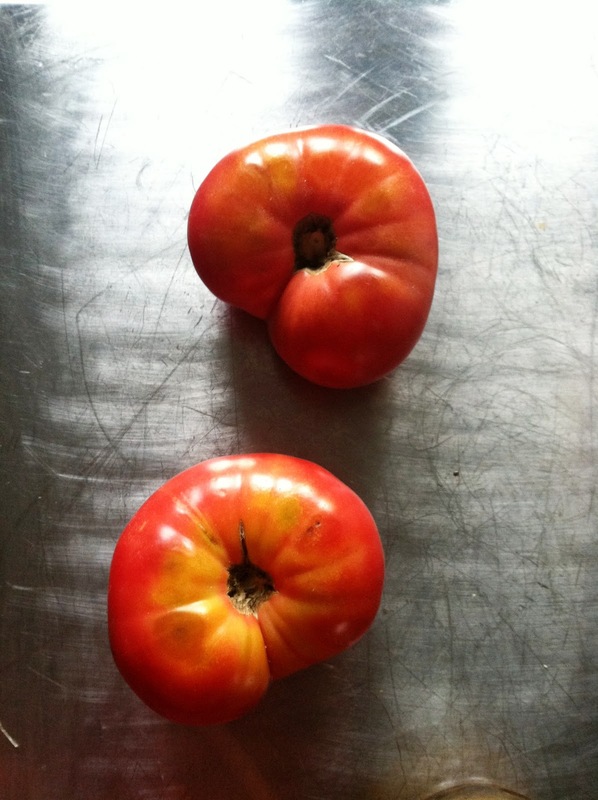 Look at these Farmers’ Market tomatoes!! Gorgeous. 4. Add feta, stir it all up so it gets melty and combines everything together nicely. Then julienne some basil. 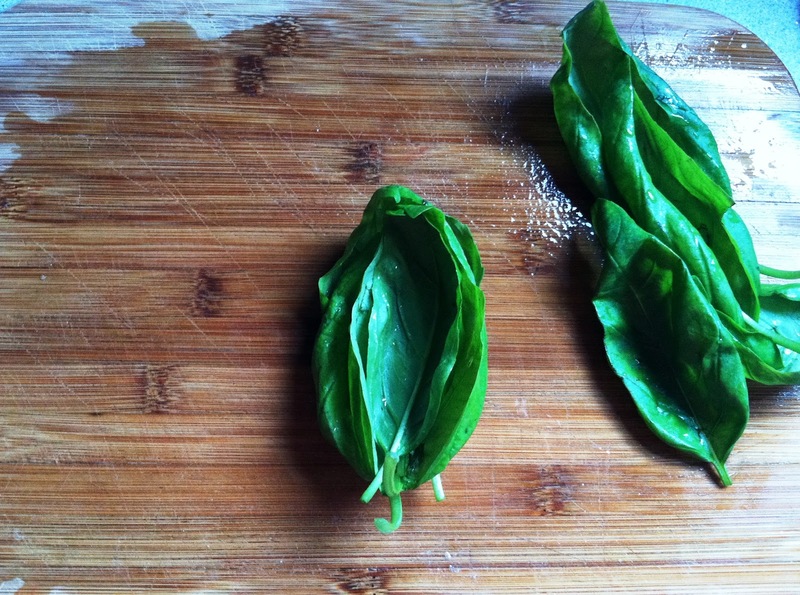 Let’s julienne some basil! First, clean some leaves, then make a little stack of them. 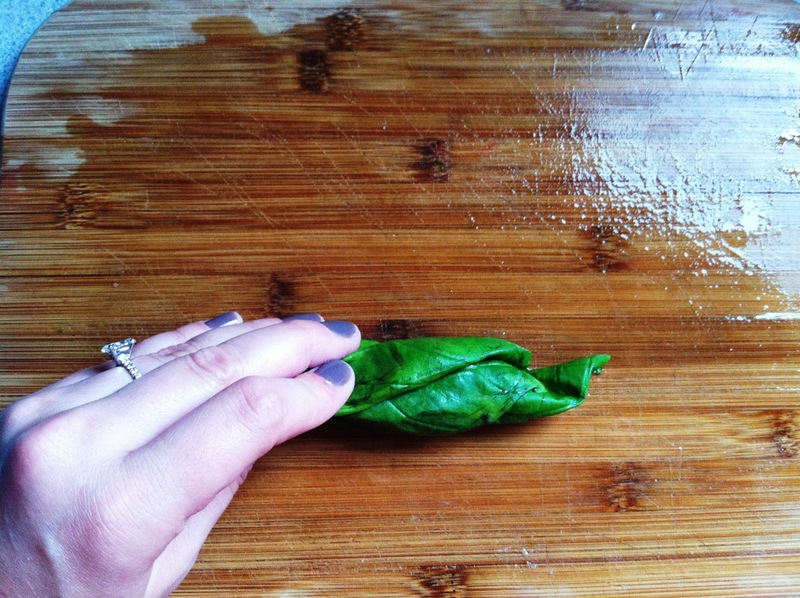 Roll them tightly together like a cigar, then slice thinly from the top down to get perfectly ribboned basil. 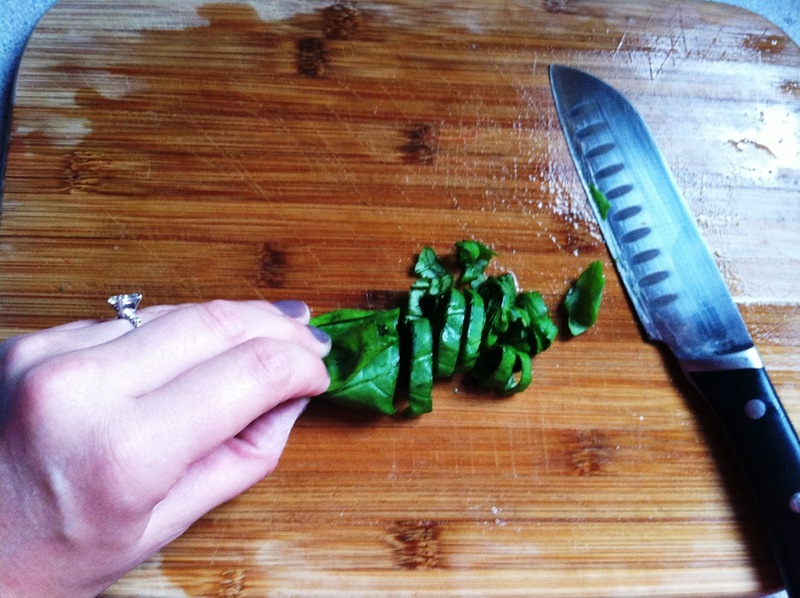 It’s kind of insane how amazing chopping basil makes your kitchen smell, every time. 5. Add dressing to the salad, mix well, then top with the julienned basil. Serve and enjoy. 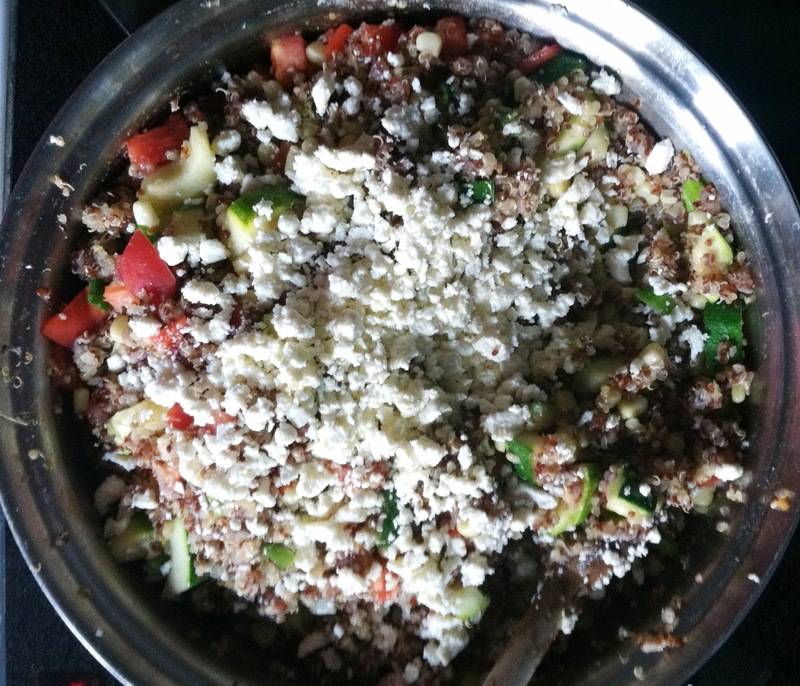 This entry was posted in entrees, farmers market, healthy, quinoa, salad, sides, vegetarian on September 12, 2012 by westyn.